What did you like best about And Only to Deceive? What did you like least? Interesting period in British history relating to the role of women in society. Again, it helps to be very wealthy for physical comfort, but hell for individual right to achieve. But the naiveté of the main character was annoying. Things easily explained if folks just talked to each other. Would you be willing to try another book from Tasha Alexander? Why or why not? No, not really. Not interesting enough in terms of the development of the characters. Absolutely not. Sounded like she was reading to three year olds who needed time to absorb each word - narrating through syrup. This is the second book from Audible I've had this problem with. I wonder if they are actually asking their narrators to slow down instead or reading at a more natural speaking speed. Do you think And Only to Deceive needs a follow-up book? Why or why not? Not that intersted in the characters. Too shallow. The award-winning author of the best-selling Cork O’Connor series, William Kent Krueger pens novels with pulse-racing suspense. 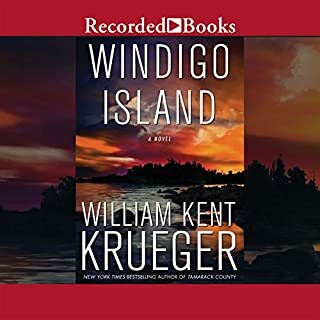 In Windigo Island, the corpse of an Ojibwe girl washes ashore, and locals at the Bad Bluff reservation believe it to be the work of the mythical Windigo. But the dead girl’s friend is also missing, and sheriff-turned-PI Cork O’Connor will brave any danger to bring her home. Not according to this reading. It's as if the recording was done in slow motion, and each word was pronounced as if he was reading it for the first time and did not want to make a mistake. I've listened to him before, and enjoyed the experience, but not this time. Fire the producer. I disliked this book, but I wonder if it was because I REALY disliked the reading. 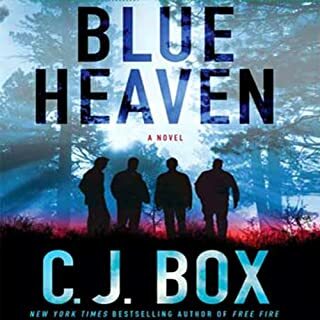 But I also found the plot thin, characters two dimensional, and the story switched from a focus on the protagonist, our friend, Cork O'Conner, to that of his daughter, Jenny, - and then you really disliked her father as seen through her eyes. What a mess of a book. Not really. Mostly the characters did not continue to develop and grow as they have in the previous books in this series.